Creating smiles that sparkle is routine at Merion Village Dental. We take great pride in playing a trusted role in the dental health and wellbeing of adults, children, and senior adults. Our dental team carefully listens as you discuss your oral health history, and creates a treatment plan custom fit to your lifestyle and dental goals. Always, we deliver a gentle and caring touch during every phase of your dental care. 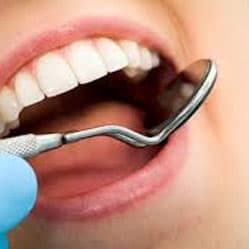 From sealants to oral cancer screenings it is crucial to schedule routine dental appointments to maintain a healthy and happy mouth. This way our dental professionals can help give you the treatment and care that you need. Is it time for your routine exam?